We are happy to announce that we are going to release the new couponing option, that allows you to create and manage Wi-Fi coupons. Wi-Fi couponing is a very interesting feature for the hospitality, travel, food & leisure sectors and enables a new business model for service providers. And now… some exclusive previews of our new platform! 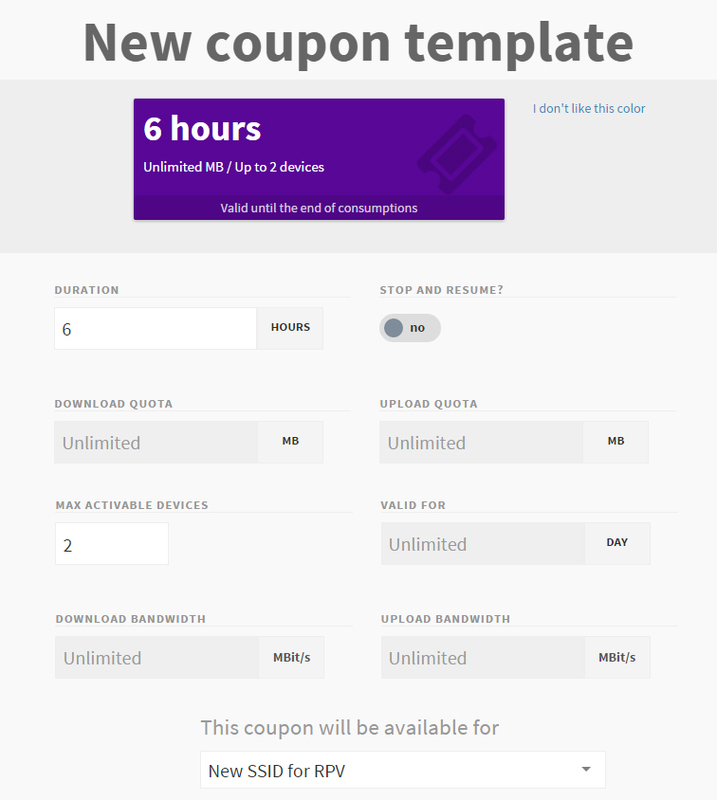 From this simple page, you can choose an existing coupon template or builda new coupon template. The templates are linked to one or more SSIDs, at your choice. In this page you will see a preview of the template and you can edit it. The template details include: your company logo, duration of the coupon, max device, expiration date of the coupon, download and upload quota, download and upload bandwidth. You can also decide if you want to enable the “stop and resume coupon” option, or not. You are free to edit your template and to add your brand… no limits to your business. You don’t need to train the front-desk operator. No manuals are needed. Once that you, the network admin, created the first coupon template, the front-desk operator will see it in the front-desk platform. He only clicks on it, to print one or 100 coupons per time. It’s super-easy. If you create more than one template, you can assign a specific color to each one (1 hour: red; 1 day: yellow; 2 days: blue) so the front-desk operator will recognize them without even reading their setting details. 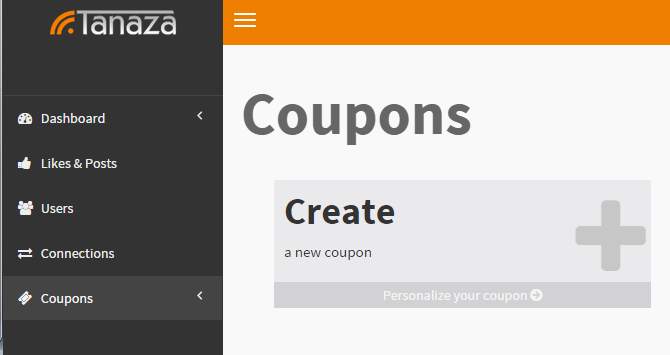 Through the coupon list, you can check each coupon in real-time. You see if it has been used or not, if it expired, which is the used download and upload quota, how many devices connected through that coupon. You can also use labels to assign a name to the coupon (for an hotel: guest surname + room number) and then search coupons by label. is there a solution for those people who would want to buy coupons directly from the system. for example integrating couponing system with online payment system in order to allow customers to buy bundle anytime even if it is at night? Hi Kirui Isaac, this is actually an idea that we have and that we will maybe developed. We wrote a post about it and you can upvote for the idea if you like it. This is a way for us to understand better and prioritize our customers needs.